Product prices and availability are accurate as of 2019-04-17 06:44:32 UTC and are subject to change. Any price and availability information displayed on http://www.amazon.com/ at the time of purchase will apply to the purchase of this product. 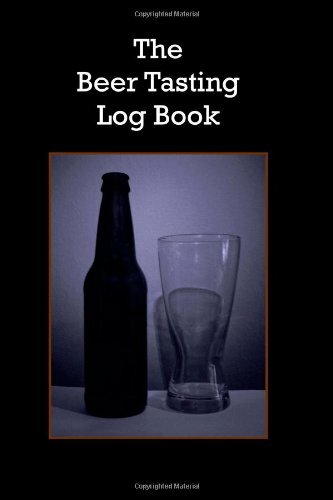 The Beer Tasting Log Book is a great assistant for recording the results on your mission to try all of the greatest beers in the world. The 4" x 6" softcover is sized to easily carry in your back pocket while allowing plenty of space for recording notes on your beer. Extra wide inner margins allow for easy writing on the pages. The Beer Tasting Log Book includes space for recording notes on 100 beers. Notes include Brewery, Date Tasted, Cost, Serving Container Type, ABV, IBUs, Color and Appearance, Aroma, Taste, Overall Rating, and an open section for notes.